We have now given a complete criteria and customization instructions to renew your shoes with fashioned DIY duct tape outfit to it. After doing this little but adorable modification to your shoes, you will think that creativity is on your finger tips for sure. 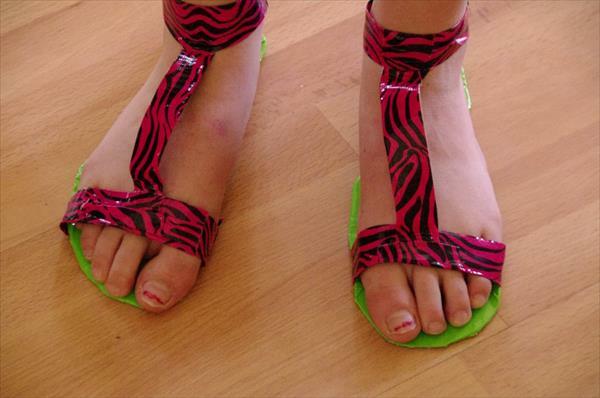 We have just regained our shoes into more cuteness and coziness with this smashing duct tape idea. Duct tape is basically a long plastic strip which is lush with adhesive chemical, which is very helpful for different things to join them together. 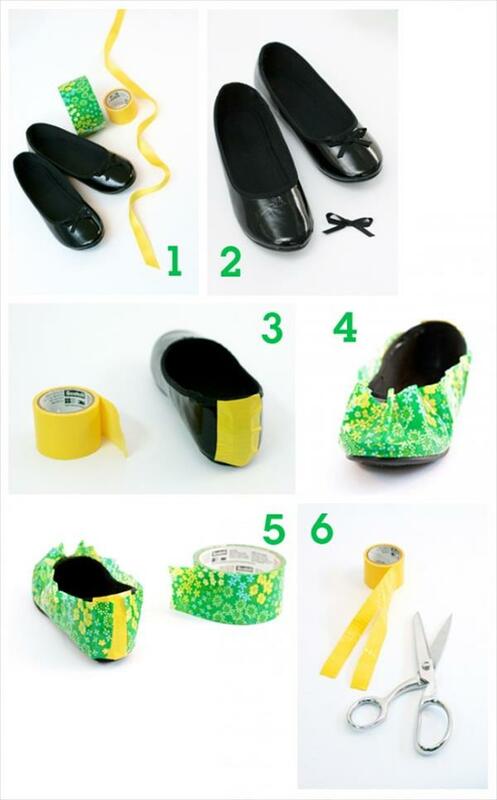 If you will do this tutorial at home then what you’re going to find out of it at the end, a magnificently trimmed and remodeled duct tape shoes pair. You should have following daily home use material as stock to begin with this renewing and regaining process of old shoes at home. Your shoes to recover, should be in plane and fine surface area to cover it up with duct tape perfectly, if you find something resistive like bows of shoes in this duct tape covering process, then remove it with scissor. We have given a different color shade to the back of the shoes though another duct tape. 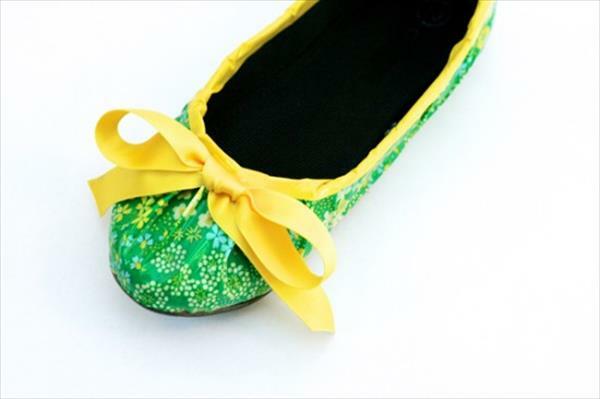 We have used yellow and green scotch tapes for this charming makeover. Then added the king glue for best grip of this cozy tape template on shoes and dry it for sometime by putting it before sun for a few minutes. We have given a thin boarder also to the whole shoes upper foot area with very thin width of yellow scotch tape to more elegant and fascinating. 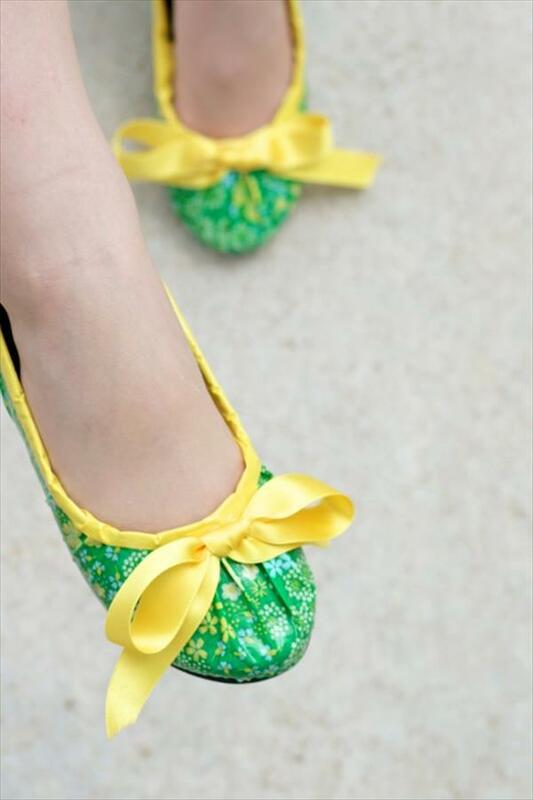 At the last stage which is probably a finishing process, we have added a bow to it with stylish ribbon, and closed the framework to enjoy this lovely handcrafted and handmade footwear.